Ignition Casino is a relatively new company in the online casino space, but it’s backed by the reputable and longstanding Bodog Group. Americas can feel safe playing here. Click here to go to Ignition. New casino players at Ignition can jump-start their winnings by taking advantage of a 100% up to $1,000 casino bonus on their first deposits. There are no bonus codes required to receive this remarkable offer, but you will have to claim it in the cashier at the time that you make your qualifying deposit. 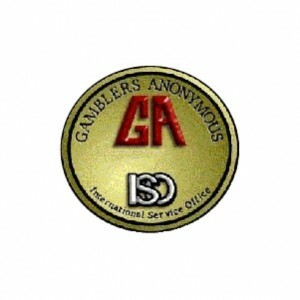 Click to visit Ignition Casino. If you’re a partisan of the electronic currency Bitcoin, then you might elect to instead benefit from the Bitcoin-only welcome bonus featured at Ignition Casino. This doubles both the size and the percentage match of the standard first deposit bonus because it’s a 200% up to $2,000 match. You will have to enter the code IGBITCOIN200 when making your deposit. Make your Ignition Casino BTC deposit today. Regardless of which bonus you select, it will be subject to a 25x wagering requirement on both the deposit plus bonus before it’s fully cleared. Once you achieve this total, the bonus funds turn into unrestricted cash, which you can withdraw, continue playing with, use in the attached poker room, et cetera. You cannot play Single Deck Blackjack, Double Deck Blackjack, Baccarat, Sic Bo, Craps or Roulette with the non-Bitcoin welcome bonus active. The bitcoin bonus has only one prohibited game: Craps. You can only use the vanilla welcome bonus once and only on your initial deposit. 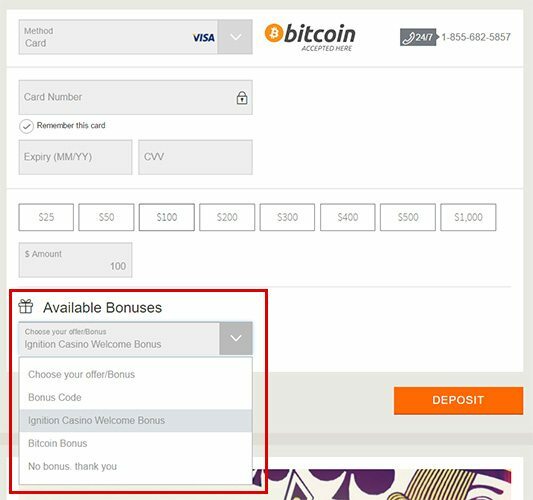 You can also only use the IGBITCOIN200 bonus one time, but it can be on any Bitcoin deposit you make whether its your first or tenth one. You have six months to meet the playthrough requirements for either bonus; otherwise, it will be forfeit. Ignition wants you to keep coming back and playing in the future, so it has deployed a pretty attractive system of redeposit bonuses. Some of them are only valid when using certain payment methods, but others will work with any supported transaction processor. On every subsequent deposit (after your first) that you make using a credit card or rapid transfer, Ignition will give you a 10% bonus. The bonus amount is subject to a 50x playthrough. Even if you’ve already participated in the IGBITCOIN200 bonus, you can still get more rewards on your BTC action. When you opt to redeposit to your account with Bitcoin, Ignition will drop some free bonus money into your account. Take advantage of a 25% up to $1,000 bonus, which will give you a better chance of scoring a profit. The wagering total you must fulfill to clear this bonus is 10x the sum of your deposit and bonus. Every week, you’ll be able to receive not just one but seven reload bonuses. The way it works is that every Monday, you’ll see a new bonus code listed in the “My Bonuses” section of your account. Use the code on your next deposit to obtain 100% up to $100 absolutely free! After completing the playthrough total, which varies from week to week, you can deposit again to score the same bonus a second time. Repeat this procedure up to seven times per week so that you don’t miss out on any free bonuses moneys available. As if the bonuses on first deposits and reloads weren’t enough, Ignition also operates a fully featured rewards program called Ignition Rewards. For every $1 you wager on slots and $4 risked on other games, you’ll earn one Reward Point. Your position in Ignition Rewards will be based upon the number of Reward Points you accrue during a single month. The inaugural tier, Steel, is open to anyone who has made a deposit to their account. Progress to the higher levels (Chrome, Bronze, Silver, Gold, Platinum, Titanium) requires higher and higher numbers of Reward Points earned within a single month. The top level, Diamond, is open to players exclusively by invitation. The perks of being a member of Ignition Rewards increase the higher you climb in the program. You can look forward to better bonuses, special bonus draws, birthday bonuses and more depending on the level you’re able to reach. Although we’re primarily focused on the Ignition Casino action, we’d be remiss if we forgot to inform you of the solid bonus available in Ignition’s poker room. It’s a 100% up to $1,000 offer that will be applied to your account at the same time as you make your deposit and claim your casino bonus. Unlike the casino bonus, which is added to your balance instantly, the poker funds will be issued to you in parts as you achieve certain Poker Point milestones. In total, you need to earn 10,000 Poker Points within 30 days of your deposit to earn out the full $1,000 poker bonus. On the withdrawals side of the equation, things aren’t exactly any better. Apart from one no-cost withdrawal every four months, you’ll have to pay $75 to get your winnings via Check by Courier, Debit Card or Rapid Transfer. Players at the higher levels of the Ignition Rewards scheme can get more frequent free payouts. The best way to avoid these charges is to do all your transactions with Bitcoin. There are no fees either for depositing or withdrawing using this cryptocurrency, and payouts through BTC tend to process much quicker than those requested through other methods. 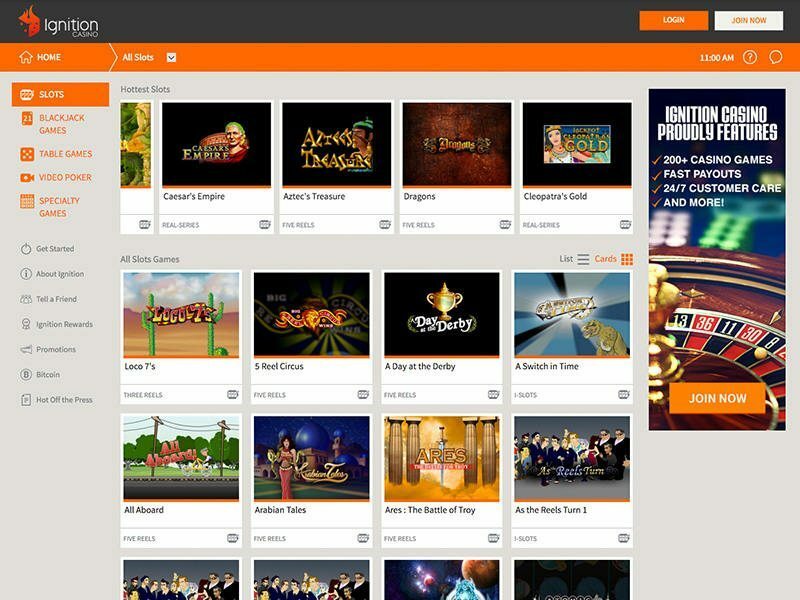 Click to Play Games at Ignition Casino. “Vintage Vegas” hearkens back to the Las Vegas of old with showgirls, bright, neon signs and wised-up, besuited gentlemen possibly named Tony and Vinny. One thing that’s not out-of-date here is the technology behind the game, which was developed by Rival. You’ll enjoy 50 paylines, a wild symbol, free spins and the other modern innovations that have transformed slots from what they were at the time “Vintage Vegas” is set. 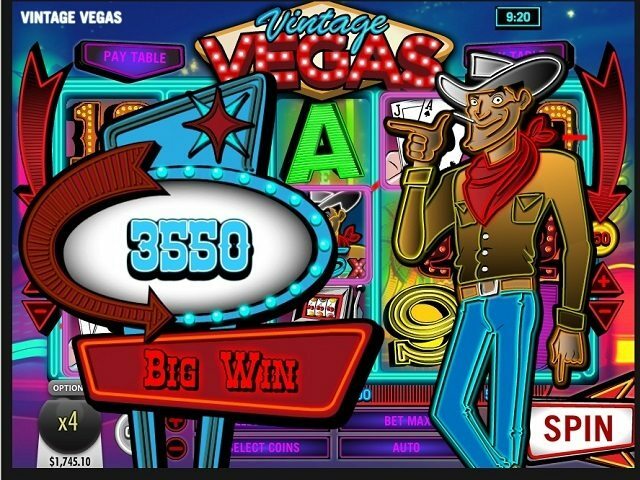 Visit Ignition to play Vintage Vegas Now. No online casino is complete without blackjack, and it’s certainly present at Ignition Casino. Even better is the fact that you can use most types of blackjack to clear your bonuses albeit at a rate less than that of many other games. There are six different blackjack games for you to choose from, including European Blackjack and Perfect Pairs Blackjack. Full-bodied wines, delicious cuisine and luxurious shopping embody the Champs-Élysées, and now you can get a taste of Paris from the comfort of your home with the “Champs-Élysées” slot game by BetSoft. Line up five croissant and café symbols to win a big prize, or get three or more Arc de Triomphe images to appear to begin the free spins feature. Vive la France! Et bon chance! Receive a $1,000 casino bonus – $2,000 with Bitcoin! And find the latest Ignition Poker bonus codes here.